Do you have free $12,000 to spend? Geeks on a Plane is a tour for later stage startups, investors, and executives to learn about high-growth technology markets worldwide. We travel by planes, trains, and automobiles to the most exciting international startup scenes with the sole mission of uniting geeks and exploring cross-border opportunities. 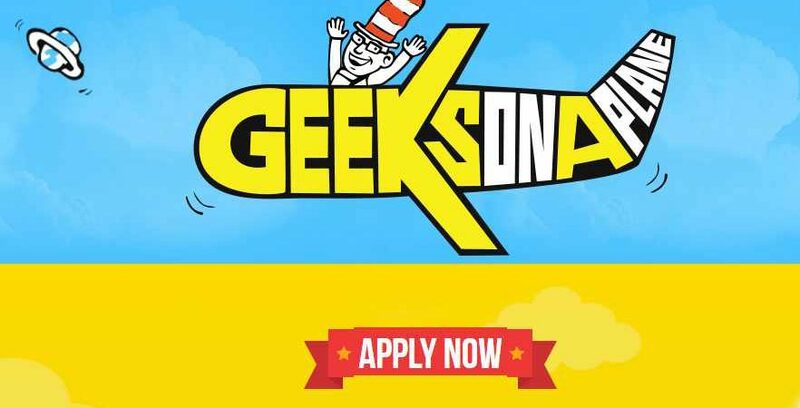 All prospective ‘geeks’ must complete this application to be considered for Geeks on a Plane Africa in March, 2017. If accepted, we will be in touch! Here are the proposed stops for the trip from March 20 – April 1, 2017. Anticipated costs for registration & travel: GOAP tours typically range from $12,000 – $15,000 per geek, which covers hotels, ground transportation, registration fee, events & activities, visas, drivers, guides, tips, taxes, some meals and really bad jokes from our resident curmudgeon, Dave McClure, over the mic. Flights are NOT included in this. **Cost subject to change based on location of the trip & costs associated.